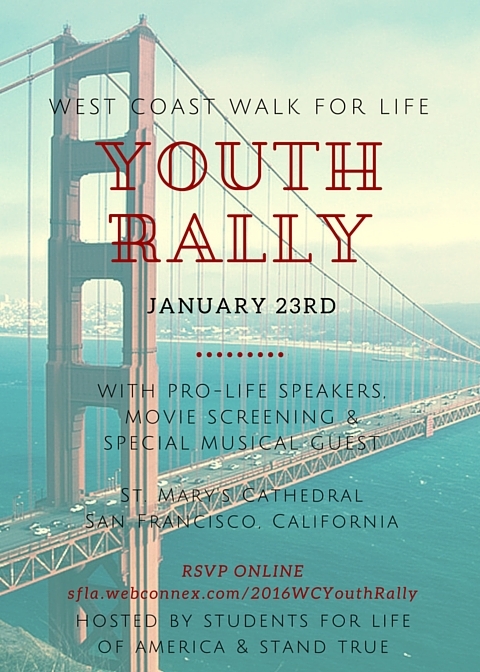 The March for Life Youth Rally is hosted by Stand True Pro-life Outreach, Priests for Life, Crossroads, Students for Life of America. This event is free of charge – Reservations can be made here: March for Life. 10 minutes after the rally begins the open seats will be given away. 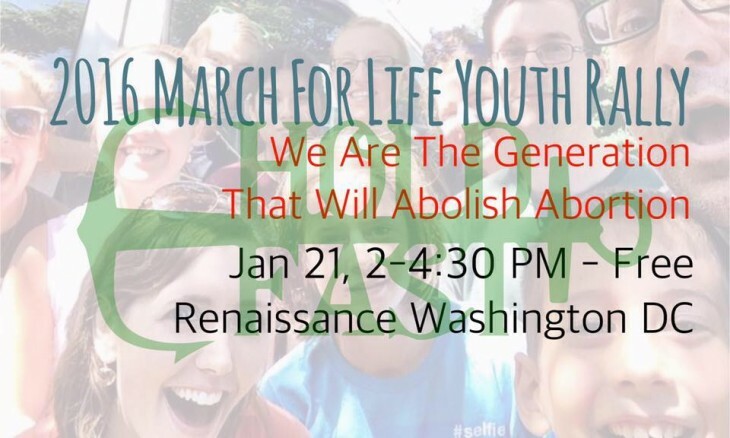 There will be booths selling pro-life -t-shirts, stickers, books and more. Taylor Stearns, 2014 American Idol Hollywood Week Contestant, will welcome you into this pro-life party with awesome music! Then expect to be encouraged by pro-life leaders as we move to abolish abortion in our lifetime! Thanks to Movie to Movement you can stay after the rally for a special screening of the not-yet-released movie, Voiceless. Be encouraged as one man puts it all on the line to stand for Life at an abortion clinic that moved in across the street from his building. Seating for the screening is limited so please be sure to RSVP to guarantee tickets for the screening.